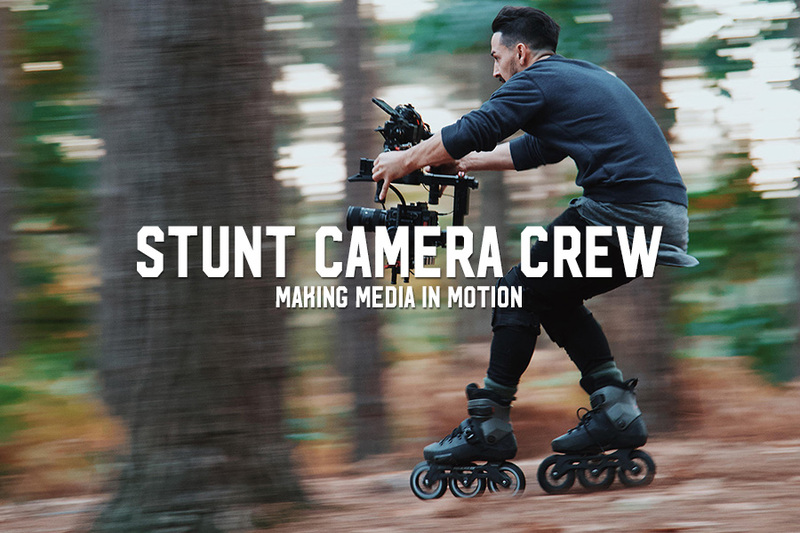 Thanks to Instagram we discovered an account called Stunt Camera Crew — and that’s what lead us to speaking with team members Will and Daniel. 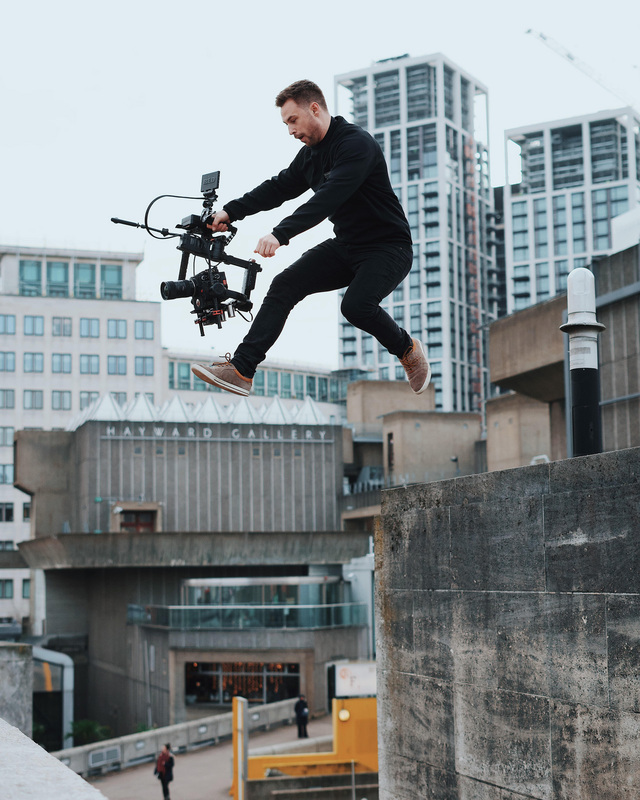 Inspired by parkour and fast movement like inline skating, the team at SCC decided to combine their passion for these activities and filmmaking to create their own business for hire, providing special solutions to complex film challenges. And they’re having fun while doing it. So many aspects of this story resonate with the pure DIY ethos of so many bladers, we hope you’ll take a few moments to read about what these guys are doing, and maybe find a bit of inspiration to change your own trajectory too. Hey Stunt Camera Crew, thanks for taking time to talk to us. We’re big fans of your IG feed! So we read a bit about you on your website — stunt performers, learned the business, etc — but how did the four of you team up? Was it a particular project that made the whole thing click? We’ve actually known each other for some time, all coming from a background in expressive arts. And on many occasions we’ve found ourselves collaborating. It looks like two of the guys blade, that’d be Claudiu and Daniel — what about Will and Alec? Will: Me and Alec don’t blade. I bring the Parkour agility side to the camera and Alec works in Hollywood feature films as a camera assistant and grip. So we all bring a different aspect to the team which altogether covers many fields. So Claudiu and Daniel, when did you guys start blading? Tell us some of your skating experiences. Daniel: I started blading from the age of 9 till I was 14. I then transitioned into parkour in later years, which over the past few years had brought me full circle. How did skating and filming fit together for you guys? Daniel: Both Will and I have been talking about starting up a channel that would enable us to share what we often see people struggling to capture with heavy rig equipment on film sets. Blading just so happen edto fit the timing of it all, and it turns out that they are ideal for this type of work. What’s your preferred set up, both skates and camera? 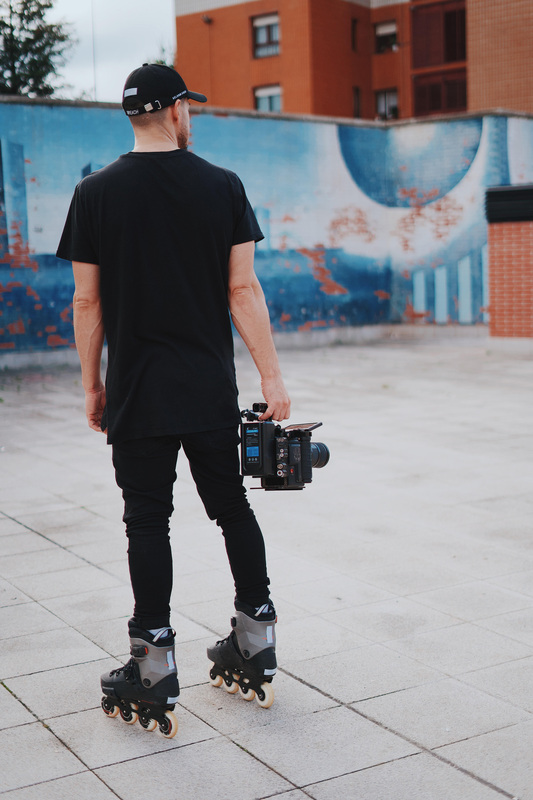 Daniel: I use Rollerblade Twister Edge x 80mm; for me, this is the most versatile setup for shooting. We currently shoot on the RED Raven, however, we want to shoot more with other cameras such as the Arri Alexa mini, etc. 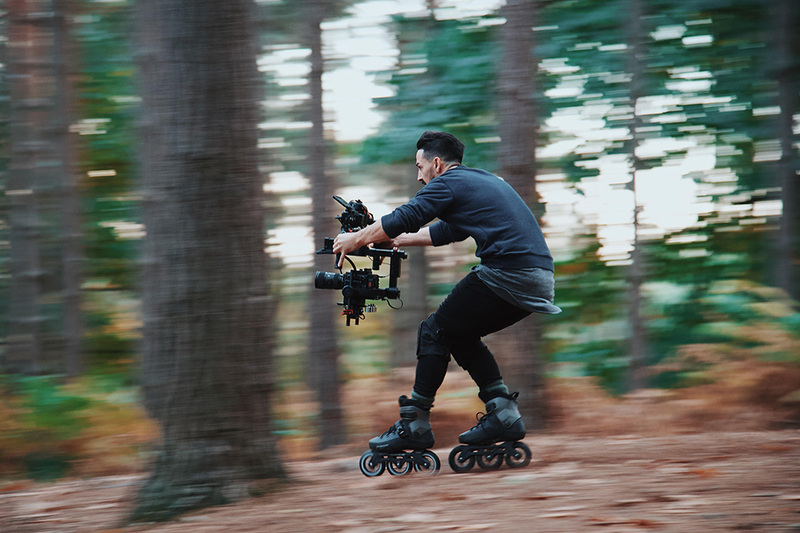 Got any tips or pointers for the blade filmers out there reading this? 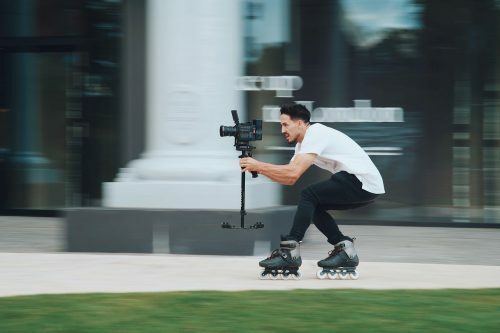 Daniel: Make sure you invest in a solid gimbal. For smaller dslr cameras the ronin S would be ideal! Anything bigger I’d suggest the Movi pro! If the price is too high the Ronin, MX is great mid range. Over all it’s just good to get out and have fun shooting and discovering your work flow. Is this what you guys do full-time? How often are you working? Will: That’s the aim, to get SCC full-time. 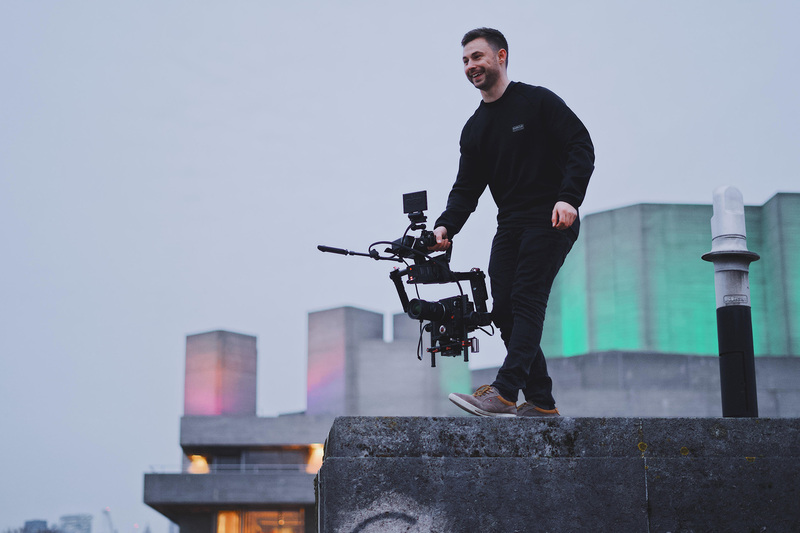 I currently work as a freelance film maker for my main profession, so the goal would be to do SCC work all the time with the crew rather than by myself. 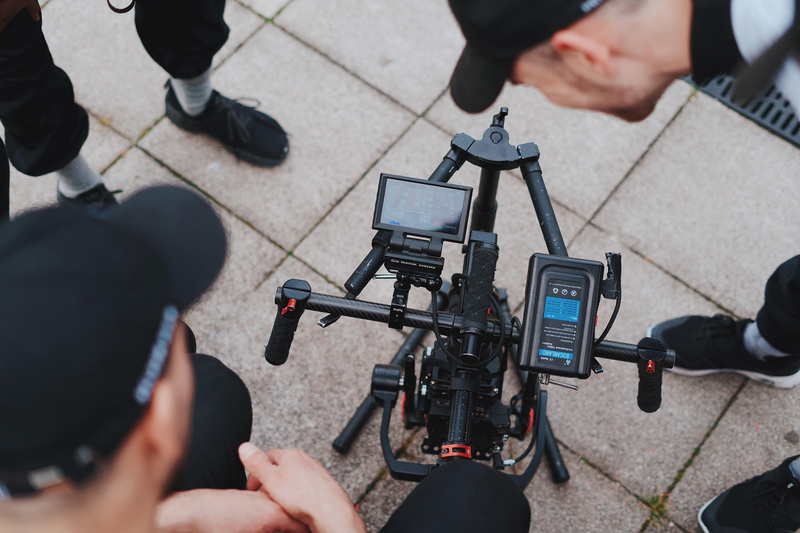 What are the best parts about the jobs that hire SCC to work the camera? Will: The best parts about the jobs are bringing the crew together. I find working alone isn’t as fun, and it is much more inspiring and motivating to have a team that you work well with. Also, being able to mix passions together like Freerunning/Blading and Film Making is perfect for us. Tell us about some of the challenges of making the sorts of dynamic shots you strive to capture? Will: One of the main challenges is the focus on framing your shot while having to focus where you are running/rolling. This is something we have practiced a lot, and feel we are able to control it to an extent, but still there are some scenarios where we do find it challenging. There are ways around it by having a remote operator on the gimbal, but sometimes we aren’t able to do this. Are there films or shows or commercials where we can see your work in its finished state? Will: There are quite a few internet promo videos and a commercial or so featuring our work now. Although I have done a lot of this before we started SCC, the aim is to get more work together as the team, as SCC is relatively new. Well great, I think that about covers our questions. Thanks again for taking the time to share with our readers, and best of luck with all the stuff you’re working on! Thanks to SCC for the photos!